October 28, 2016 | Chad Brunet & filed under Fundrive. FunDrive is here! Every year, we rely on our listeners to pledge their support for CJSR. If you love what we do, what we bring to radio dial, please pick up the phone! 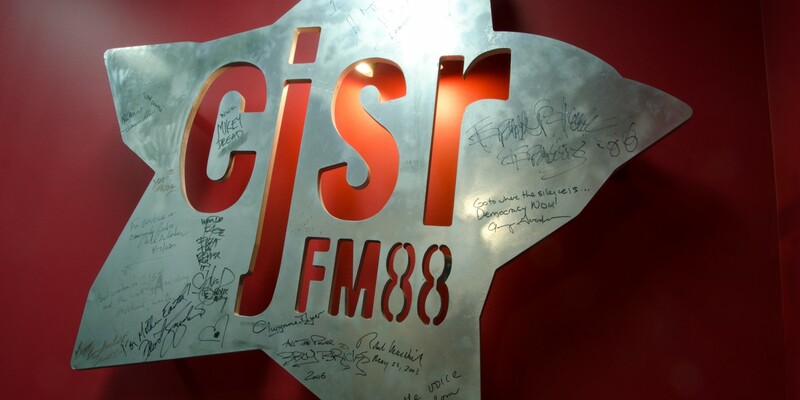 Your favourite CJSR personality may even take your pledge. Dial 780.492.2577 ext 0 to donate, or click here to donate online! If you would still like to contribute to FunDrive 2016, you can! Click here to donate now! As always, we are offering limited edition CJSR SWAG to our donors! Check out the Friends Of CJSR page for a complete list of discounts. Back by popular demand! Keep the evil tinnitus at bay with these handy ear plugs. Make your fridge even cooler! Keep your favourite beverage as cool as your fridge. A limited edition gym bag emblazoned with the CJSR star.